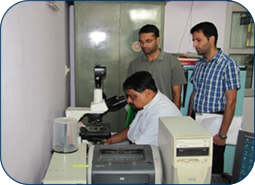 CADRAD Main Labs: Pathology, Bacteriology, Virology, Parasitology and Toxicology. 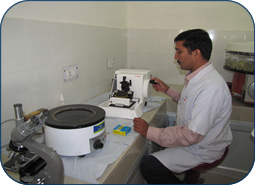 Rotary Tissue Processor, Automatic Hematological Counter, Ultra Low freezer (-70°C), Automatic Tissue Stainer, Olympus Research Trinocular Microscope, Thermocycler, Refrigerated Microcentrifuge (Hermle Make), Ruby Clinical Analyzer, Semi Automatic Microtome, Laminar Flow, Minotome Microtome Cryostat, Microscope with fluorescent and phase contrast attachment and still photography, Sorvall centrifuge, ELISA Reader, Gel documentation system, Refrigerated table top centrifuge, Laminar Hood, Bio Safety Cabinet, Freeze drier, Gene Amp PCR system, Microprocessor Research High Speed Cooling Centrifuge, UV Viewing cabinate (CAMAG), TLC Applicator (CAMAG), Monopan Balance (Metler), TLC Documentation (CAMAG). Epidemiology Section Lab. : Large Animal Diseases, Small Animal Diseases, Biostatics and Surveillance and PG Education. 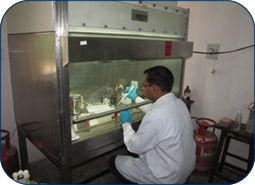 Bio Safety Level-3: Under Preparedness, control and containment programme of Avian Influenza project with World Bank; Department of Animal Husbandry, Dairying and Fisheries, Ministry of Agriculture, Govt. 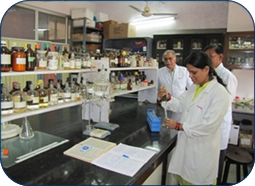 of India, New Delhi, sanctioned Bio Safety Level -3 laboratory for CDDL/CADRAD. 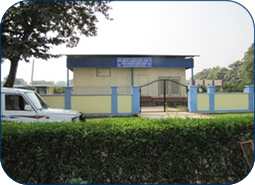 Prefabricated BSL-3 Lab was set up in CADRAD in 2011.